For the past 10 weeks (I’m currently on week 11) I’ve been working out with a group of girls and it’s been the best and most consistent workout I’ve had in years, so I feel like you guys officially need to hear all about it. A few months ago, I had just restarted Kayla Itsines’ Bikini Body Guide for the ZILLIONTH time when I saw my girlfriend, Carly, post that she was doing it too. I immediately texted her that I had just restarted the program in hopes of actually finishing it for once and how excited I was she was doing it too! Sweat App + accountability = success! I only know a few of the women in our group and we are spread out all over the country… There are many I don’t know. Regardless, each week we root each other on via sob stories of burpees we couldn’t finish or the fact that we can’t physically walk up the stairs because our bums hurt so much. This group of women has kept me going for the past 10 weeks and I’m so thankful for their support and encouragement. If it wasn’t for them, I would have quit 7 weeks ago, I’m sure of it. I’ve squeezed in workouts at 10:45 at night, early in the morning before Ryan’s chemo treatments, and even on work trips because I knew I had a group of girls lovingly holding me accountable. These women have totally changed the game for me! 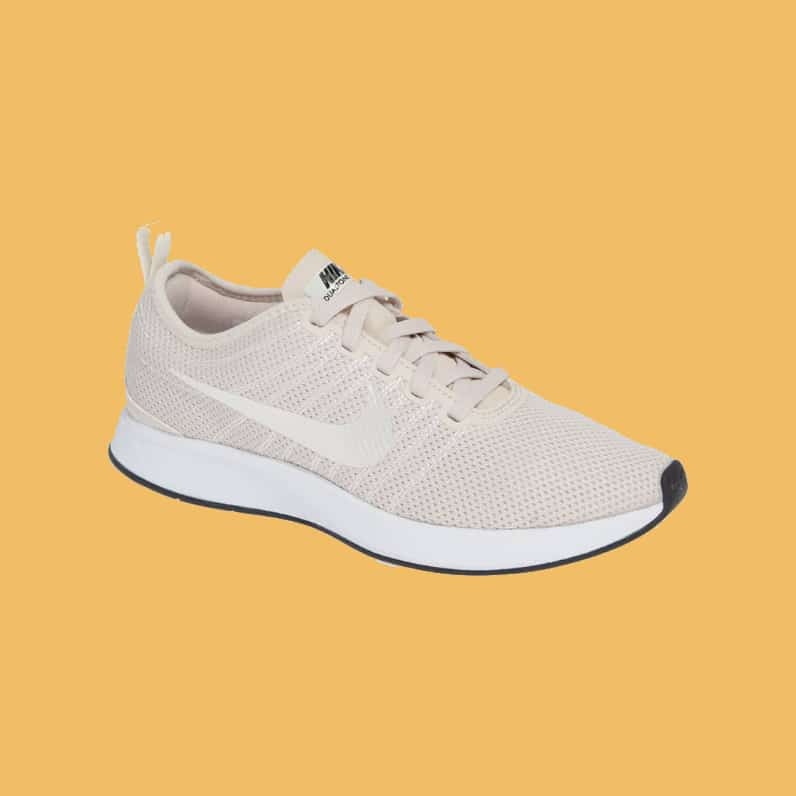 Of Course, it helps to have great workout gear and I am loving everything from Girlfriend Collective! These leggings are amazing! They hold you in and are high-waisted enough to make you feel like a movie star! Plus they come in 18 colors! Maybe it’s because I’m nostalgic for my dancing days, but this bodysuit is EVERYTHING. Also, I feel so cool when I wear it. Put this on your wishlist! 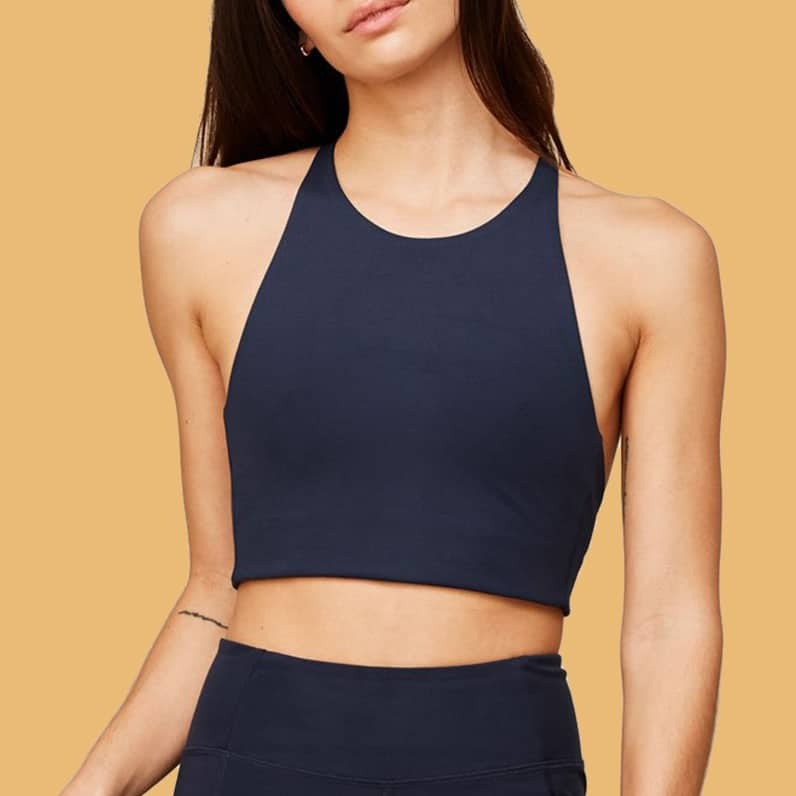 I love when a sports bra is long enough to almost feel like a crop top and this one is an actual dream! Such a great fit and extra flattering! I’m convinced that cute shoes make burpees more fun and these dove gray tennies with the pretty mesh details! So comfy too! The BBG Challenge starts with a 4-week training which helps you get into shape before you actually start the 12-week program. For me, this pre-training was BRUTAL, but I am so glad I did it. Also, now that I’m on week 7 of the 12-week challenge I totally understand why that 4-week pre-training was crucial. I would never have survived if I had just hopped right in! I’ve learned that in getting and staying in shape, there’s no cutting the line! Each work out laid out for you on the BBG Sweat App. It’s 3 workouts a week that are each just 28 minutes long – 2 rounds of 8 exercises at a high intensity. I have done every workout in my back porch with just a set of 10 lb. weights and a yoga mat, so I’m telling you it’s totally doable! When I started the program 10 weeks ago I could BARELY do 2 burpees without wanting to die. Now I can do 30. I love seeing progress like that and it’s been so much fun knowing I’m actually getting stronger each week. I haven’t stepped on a scale and don’t really intend to, but my clothes are definitely fitting better and I just feel all around more confident in my own body, which is a total win in my book! Before starting this program I worked out 3-5 times a week without any real structure. Sometimes I’d go for a run outside, or watch a show while on the elliptical… I realize now that maybe I was keeping my heart rate up, but I definitely wasn’t pushing myself. This program definitely pushes me… sometimes right over the edge! If you are looking for something new or maybe just a way to get re-motivated I, cannot recommend this program enough. Find yourself a group of girls, commit to checking in with one another and go for it! I promise you won’t be sorry that you did! Love that you guys keep each other in track. Also the shoes you are wearing are nike instead of new balance like you linked. Kalee! Isn’t it the best?! So proud of you! I love the 28 min work out…might need to look into that. My guess is an Apply Watch give away. You look amazing! I’ve tried BBG a few times but I think I really need to do it with a friend so I’m more accountable. Gabby! Do it with a friend! I promise it will change everything! Linda, you will love it! I am on week 10 and can’t believe I have made it this far! It is so hard but, such an amazing workout program to complete quickly 3 times a week!